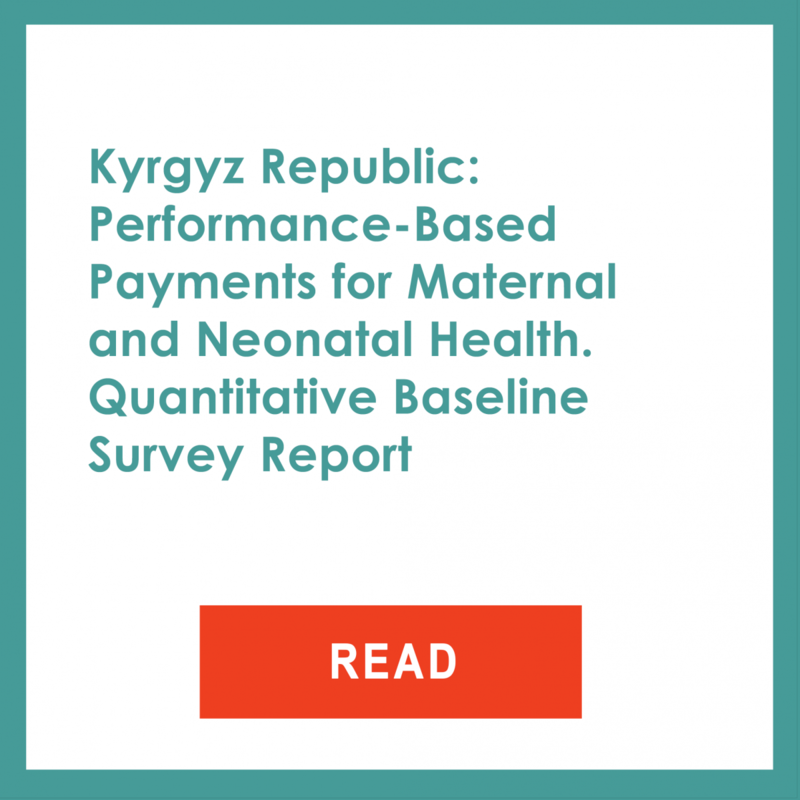 The Kyrgyz Health Results-Based Financing project’s goals are to increase the quality of maternal and neonatal health (MNH) services and to strengthen the government and providers’ capacity in performance contracting, monitoring, and evaluation. To achieve these goals, a Performance-Based Financing (PBF) and enhanced supervision interventions pilot programs are being implemented in selected rayon hospitals. Embedded in the pilot program are an impact evaluation and a qualitative assessment. The impact evaluation of the pilot program is a three-arm factorial design with 65 secondary (rayon) hospitals. These will be randomly assigned to each of the three groups. In the first treatment group, hospitals will receive enhanced supervision interventions as well as bonus payments totaling up to 10% of the hospital’s MNH budget. These financial incentives, however, will be conditional on quality improvements in MNH services. In the second treatment group, hospitals will only receive enhanced supervision interventions. The third and last arm of the study is the pure control. The hospitals in this group will do business-as-usual. The evaluation design, therefore, will measure the effect of the performance-based financing on the quality of care as well as the effect of the enhanced supervision above and beyond the impact of the incentive-based payment scheme. The qualitative assessment will use focus groups and in-depth interviews with patients, health workers, facility managers and district-level supervisory, and financing personnel in rayon hospitals to explore how PBF funds were used at health facilities and how it affected their functioning and influenced the targeted outcomes. In addition, the qualitative evaluation will explain any unexpected results from the quantitative findings. 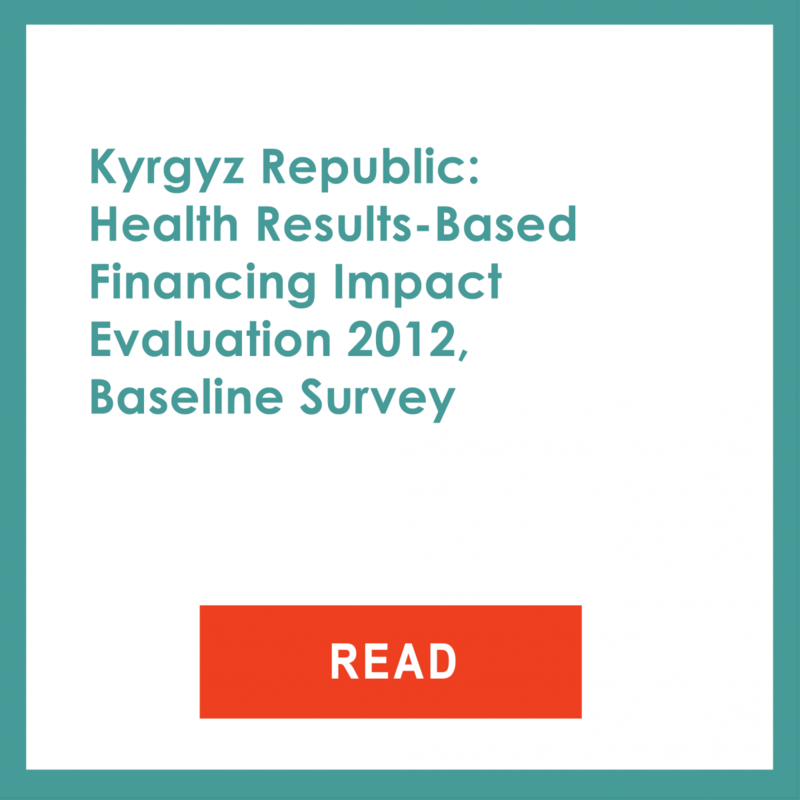 The quantitative and qualitative baseline reports were completed and captured the status of the health system in the Kyrgyz Republic prior to the start of the pilot program. The midline survey is underway and preliminary results are expected in the fall.